The world’s leader in electronic, LG has announced its first ever dual-SIM phone called as KS660. KS660 features with 3 inch WQVGA display and a 5 megapixel camera. The tri-band KS660 is being touted as a great tool that allows users to have access both business and personal lines in same phone. The drawbacks of this phone are lack of WiFi and 3G connectivity, which are quite mandatory for business phone these days. Dimension and weight: 105mm X 55mm X 14.9mm with weight 115g. Display: 3″ WQVGA (240×400) TFT touch-screen display w/ feedback. 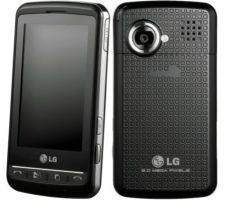 Camera: 5 megapixel camera w/ autofocus, flash, and video recording (720×480). Others: microSDHC, accelerometer and etc. The KS600 is expected to relaese at China, Russia and a few other Russian satellite states in first quarter 2009.